The biggest issue that the call center industry is currently facing is employee turnover. This is setting back call centers not only in time and effort, but also in money. The obvious solution to this is improving recruitment methods, and video interviewing can help with this tremendously. 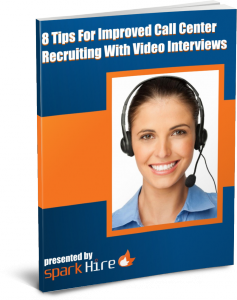 The recently launched Spark Hire whitepaper entitled, “8 Tips For Improved Call Center Recruiting with Video Interviews” emphasizes the various ways call centers can utilize video interviews to find passionate candidates who will become valuable employees who want to stick around. As discussed in the whitepaper, typical call centers spend about $4,000 hiring a new worker and another $4,800 training new employees. Because of the high turnover rate at the average call center, the hiring and training process can be extremely costly. By using video interviews, call center hiring managers can cut down on their time-to-hire, save money, and connect personally with candidates. With video interviews, hiring managers can focus on candidates who fit into the position, the company, and call center life from the start, thus, reducing costly turnover. Furthermore, a positive personality and superior communication skills are imperative in potential call center employees. 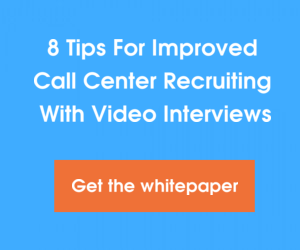 The whitepaper details how call center hiring managers can focus on candidates who possess these traits earlier in the hiring process by using video interviews, thus, helping to improve retention. 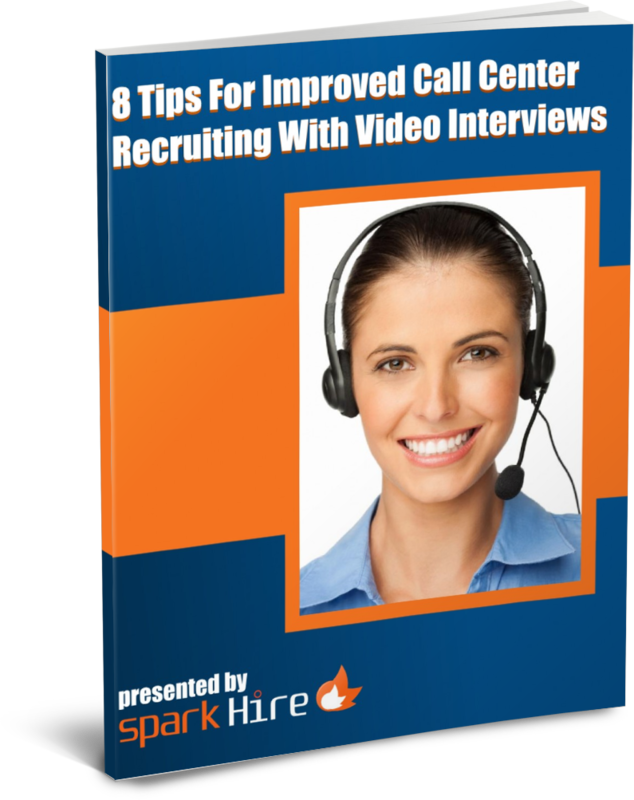 Download the new whitepaper, “8 Tips For Improved Call Center Recruiting with Video Interviews”, from Spark Hire to learn about the strategies that will help you bring on rockstar employees at your call center.